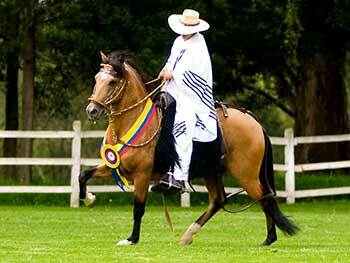 Booking Now - "HACIENDA DEL CHALAN" Horseback Riding - Tour Operator - Cusco, PERU. Peruvian Paso Horse. "HACIENDA DEL CHALAN" Horseback Riding – Tour Operator – Cusco, PERU. Peruvian Paso Horse. Complementary Services: - Box Lunch. - Transportation. - Trek guides. - Riding per hours. - Private shows of "Marinera" dance. - Parking zone. - Riding prívate lessons. - Carruaje for weddings. - Accessories for horses and handicrafts in leather shop. - We organize all your tours and extra activities in Cusco (Ask for). - Specify the service that you want. We offer horses tour packages and horseback riding in Cusco, Peru. horseback riding through the top destinations in the Sacred Valley of the Incas, horseback adventures, we have first class examples Peruvian Paso Horse specimens. Also riding lessons, fishing, live music. We´re on Facebook! / ¡Estamos en Facebook! Copyright © 2015 Hacienda El Chalan Cusco PERU. All Rights Reserved.